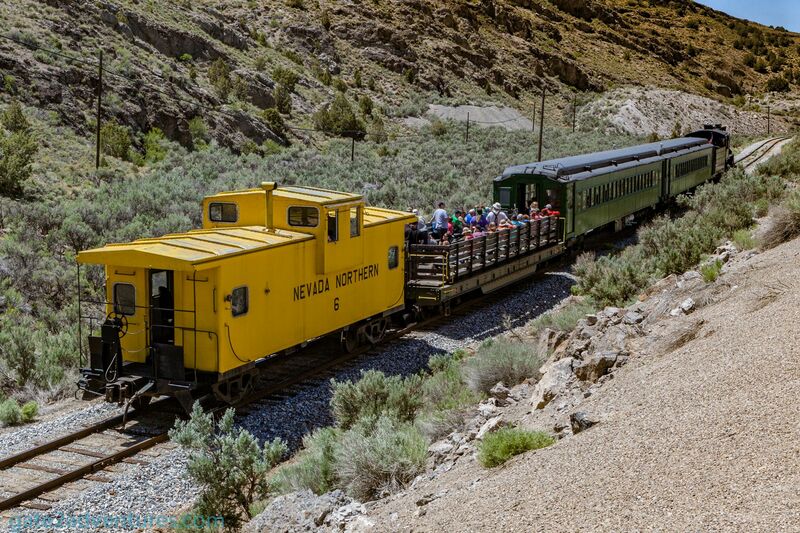 The Nevada Northern Railroad was originally built to reach a major copper producing area in White Pine County, Nevada. The trains would haul porphyry ore to the smelter and on to connect with Southern Pacific Railroad in Cobre about 140 miles to the north. Construction was done between 1905-06. 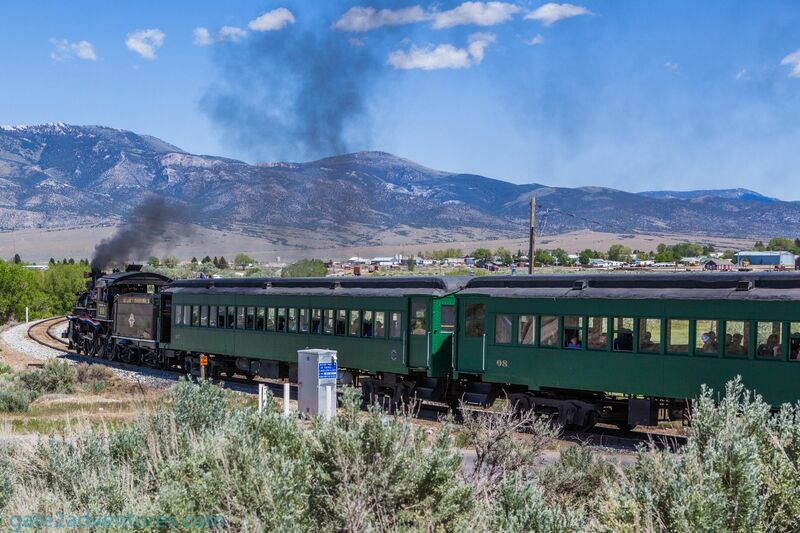 Besides cargo trains hauling copper, there were also passenger trains between East Ely and Cobre and special school trains carried students to White Pine High School in central Ely. 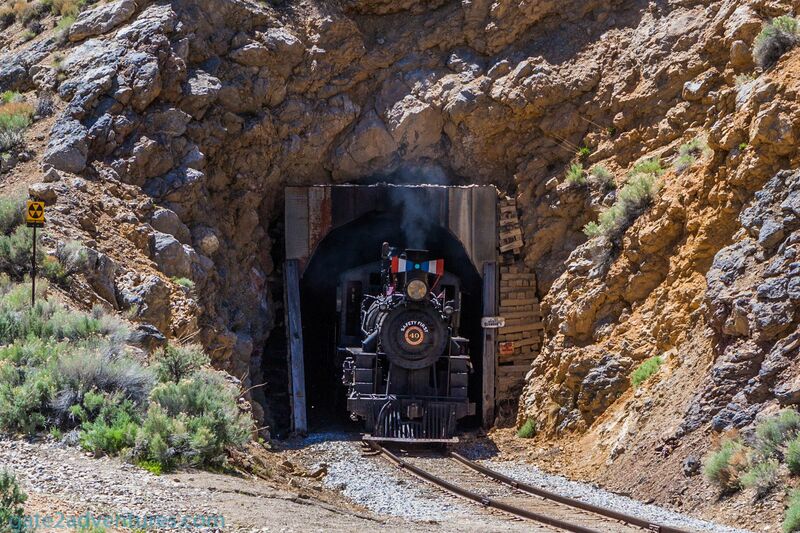 After declining ore reserves and low copper prices, the Ruth-area mines closed in 1978 and the McGill smelter closed 5 years later in 1983 and the Nevada Northern Railroad suspended all operations immediately thereafter. 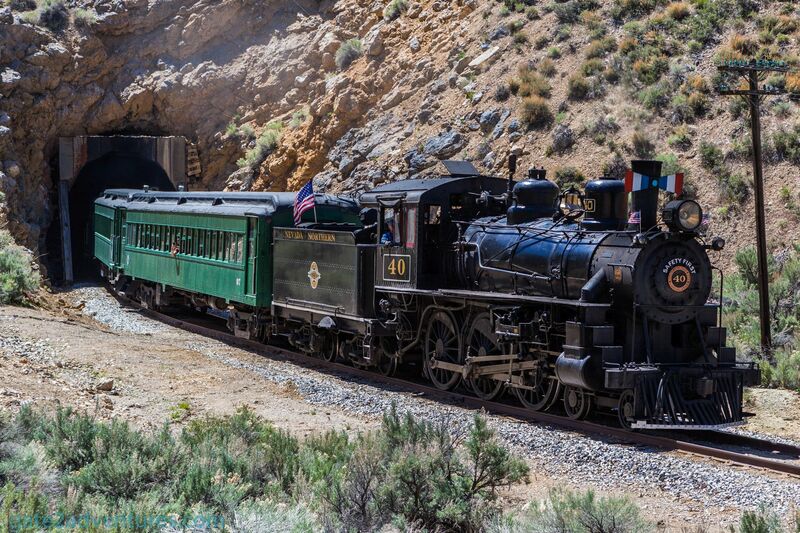 Locomotive 40 with passengers cars and caboose heading towards the Ruth Copper Mining District. In 1986 Kennecott Copper Corporation, the current owner of the Nevada Northern transferred the ownership of the entire ore line including yard and shop facilities in East Ely to the White Pine Historical Railroad Foundation, a non-profit organization which today operates the property as the Nevada Northern Railway Museum. In September 2006 the Nevada Northern’s East Ely shop complex became a National Historic Landmark. Today passenger excursion trains are offered between the East Ely yard and Ruth to the south as well to McGill to the north. 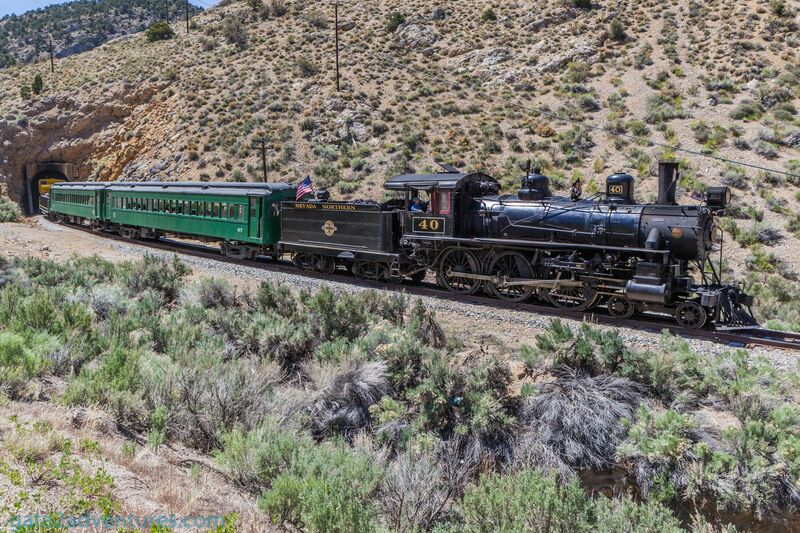 The most train rides head out southwest through two tunnels and up real mountain grades through Robinson Canyon toward the Ruth Copper Mining District. Ely train station with a historic van. Several trains run out north, out the Steptoe Valley, on the hi-line toward McGill. 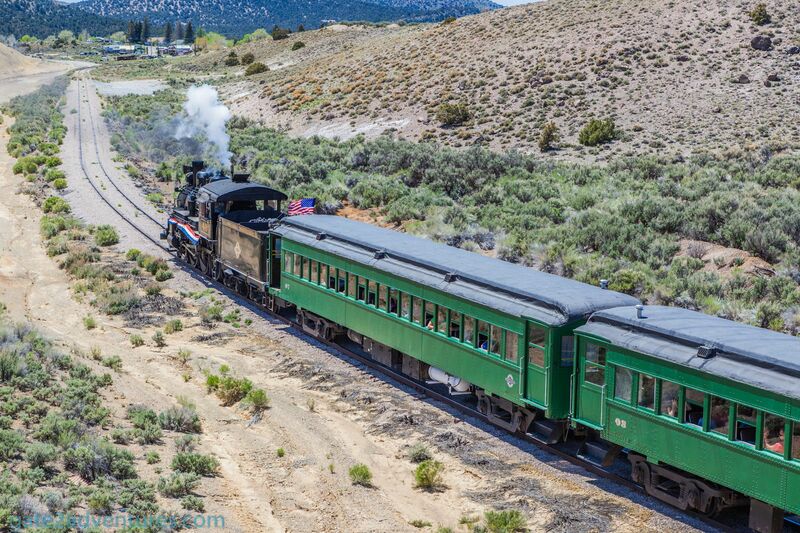 Each train ride takes about 90 minutes and you can ride in one of the passenger cars or the open-air car and roam freely between the two. Upgraded tickets are available to ride in the Caboose or ride in the locomotive with the engineer. These two options seem to be pretty famous and sell out quickly. 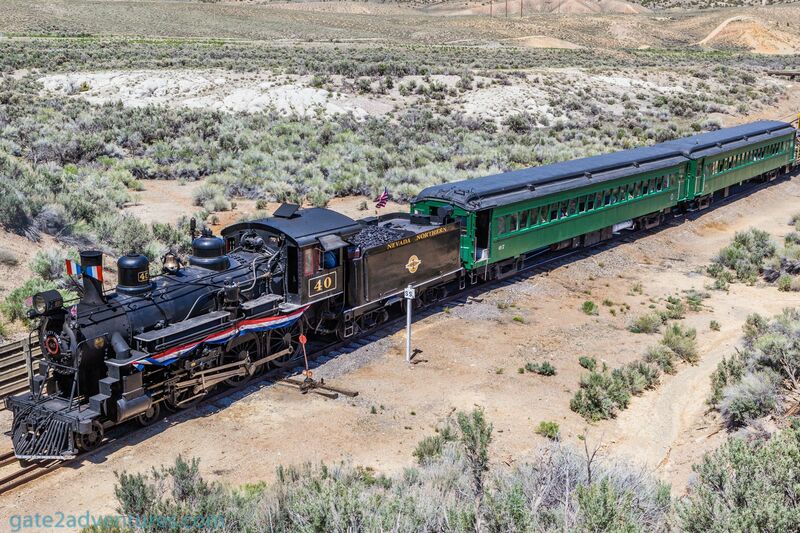 Excursion trains are either pulled by a steam or diesel locomotive. You can check the website for train ride schedule, kind of locomotive and where they are heading. Diesel Locomotive 204 with cargo train. Before or after the train ride you can join a walking tour of the engine-house and Main Yard. Below the price list as shown on the website of the Nevada Northern Railroad. The museum rail runs several special trains, some of them especially geared towards photography. Like the Night Sky – Star Train or the Winter Photo Shoot. But you don’t have to wait for one of these special dates to come up. If you are in the area, take a detour through Ely and check what trains are running on the website. Position yourself along the railroad tracks for great photo opportunities. There are many great places. 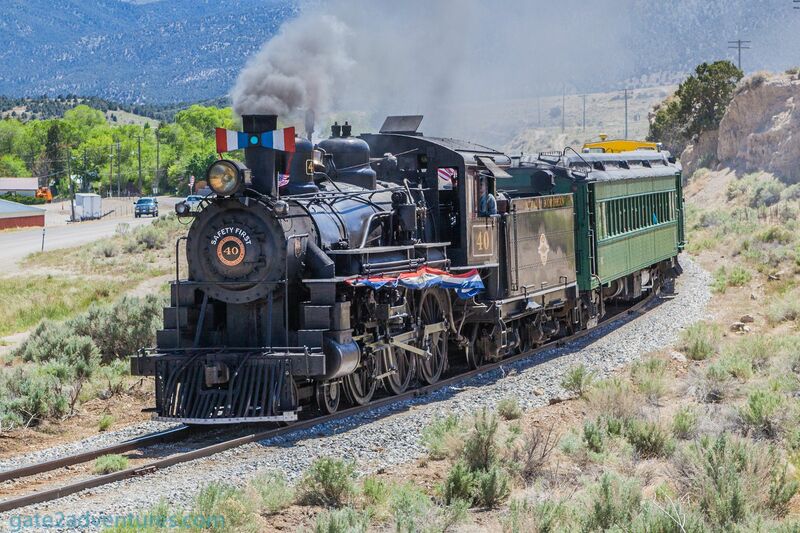 I was able to take a bunch of photos of a train heading out to the Ruth Copper Mining District and capture some great pictures of a steam train. The trains go so slow that you have the opportunity to get to different positions along the route before the train actually makes it there. 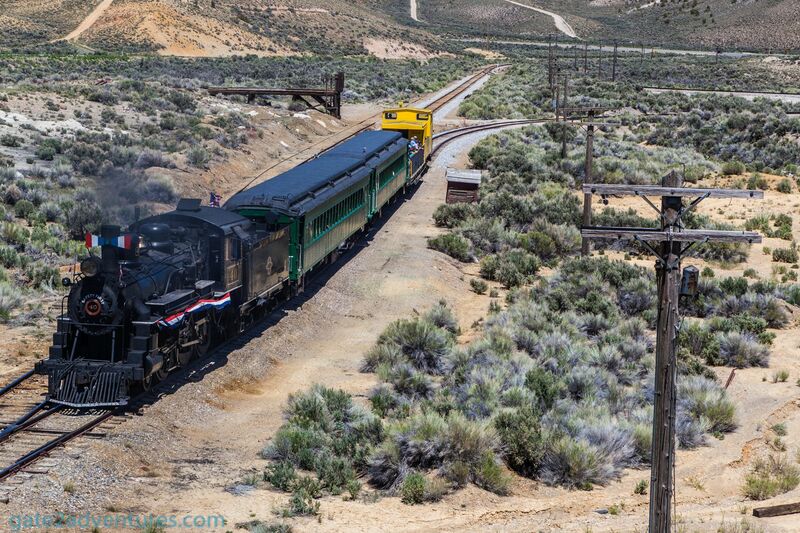 I positioned myself in several spots along the track to capture the steam locomotive pulling the train. After that, I headed back to the East Ely yard and took pictures of the yard and locomotives there. Train pulling into East Ely Depot. Locomotive 40 at the East Ely Depot. 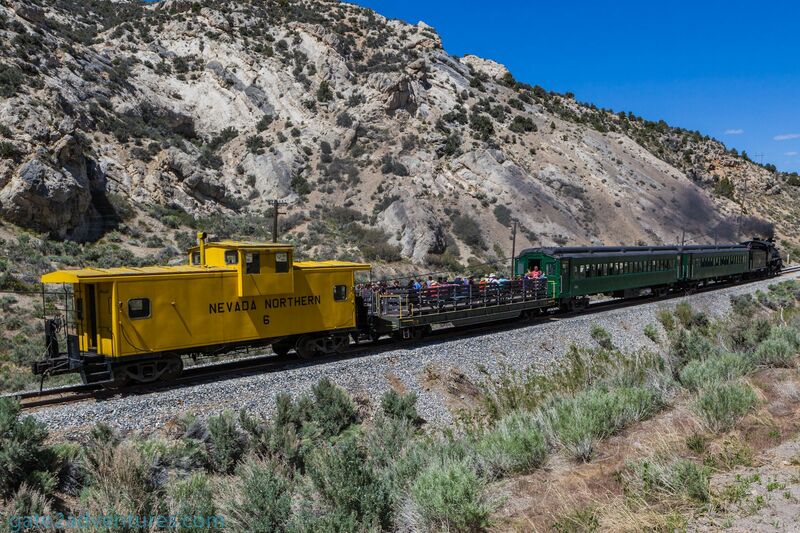 There are more unique experiences available at the Nevada Northern Railroad Museum. 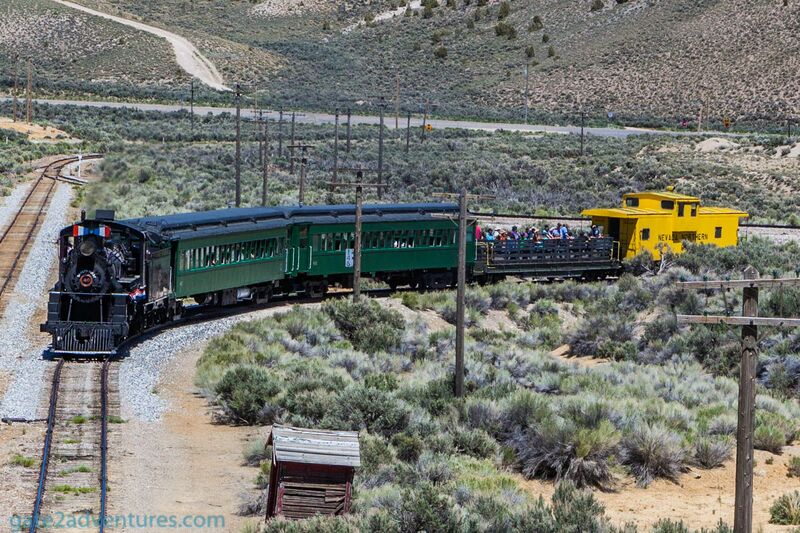 For example, you can overnight in the Bunkhouse or in a working Caboose. This is truly unique. You can also book an experience to be the actual “engineer” running either a diesel or steam train. This is another unique experience offered here. The price tag is a bit hefty for even the “cheapest” experience but I think its well worth it and it is a one of a kind experience. Another great place to spend the night is the All Aboard Cafe & Inn, just about 350 feet from the main railroad station. This is also a great place to grab a snack before or after your train rides. Make Ely your home base to explore the Great Basin National Park, which is just an hour away from Ely. There are many ghost towns around Ely like Ward, Hamilton, and Treasure City. During the Cold War, train tunnels were also set up as fallout shelters. Check the sign at the top left corner. I only had a few hours to spare to experience this amazing place in the desert of Nevada. Hopefully, I get a chance to come back here one day and have an extended experience of this unique place. If you are on your way to the Great Basin National Park, consider at least a stop here in Ely. 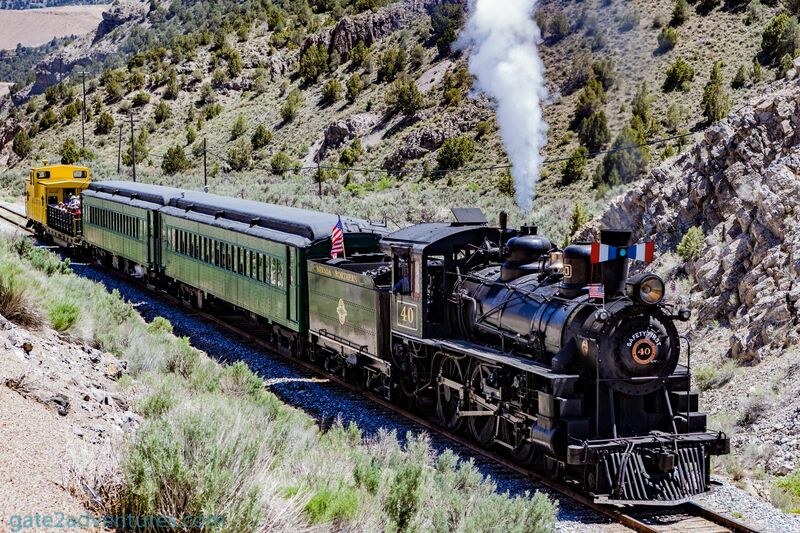 The railroad is a fun experience for the whole family and kids will love it as well. 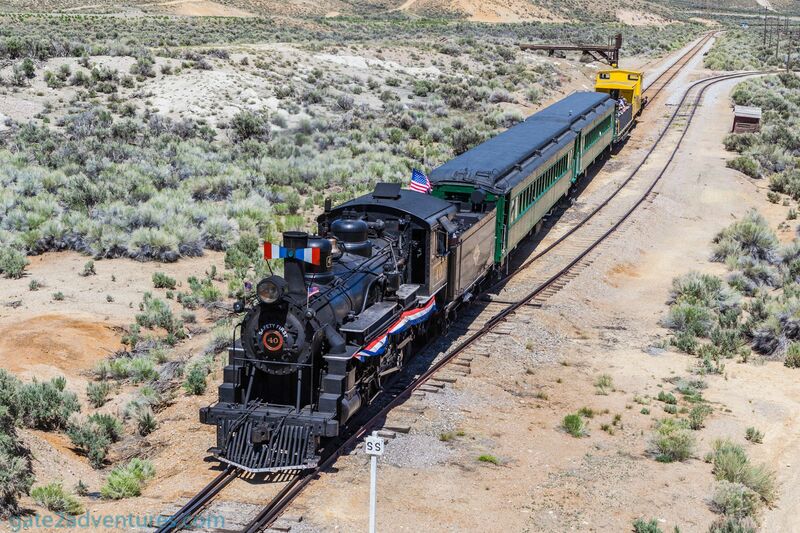 The “Wild West Limited” train ride sounds like a lot of fun as well. 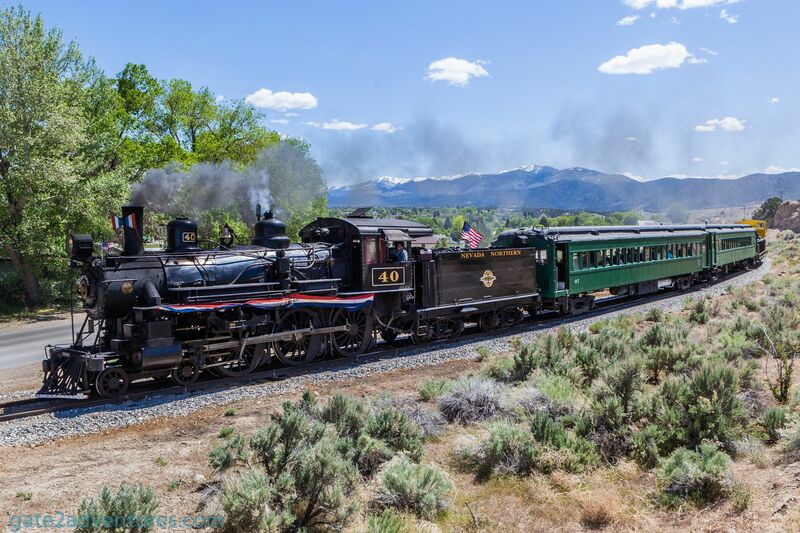 During this excursion train, you get the full wild west program. You will see cowboys, horses, and outlaws robbing the train. Of course, all is just a show and will bring history alive.